At the end of this module you will understand the avocado ordering procedures for events and photo shoots. To ensure the proper order, delivery and importance of receiving quality/beautiful (beautiful on the outside and inside) fruit the following order process should be used. Ship flats of fruit rather than cases. A flat is half of a case and only has one row of avocados, whereas a case has two rows of avocados. Too often the fruit on the bottom of the case arrives smashed. Our standard photo shoot and event avocado size is size 48. 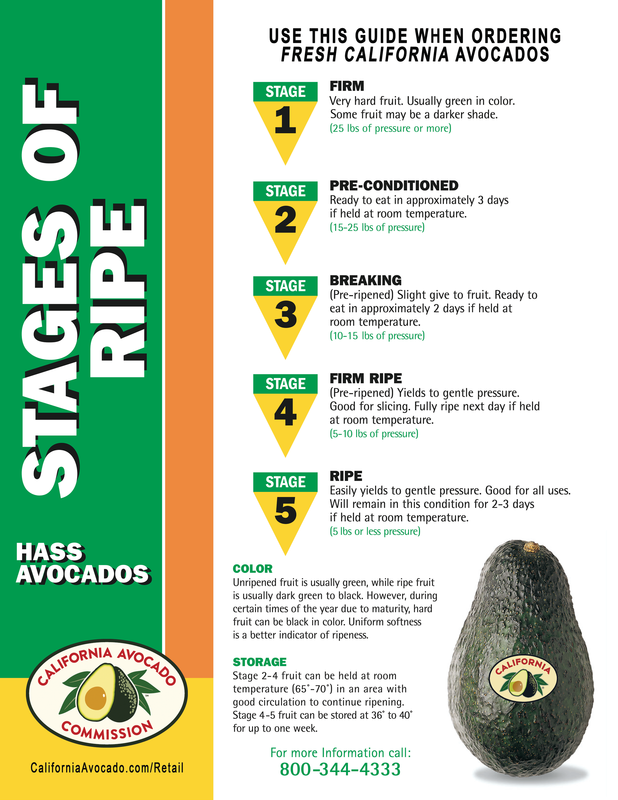 Provide the receiver with the details of the fruit stage you ordered along with storage instructions (see Stages of Ripe Guide below) including if and when to refrigerate the fruit. 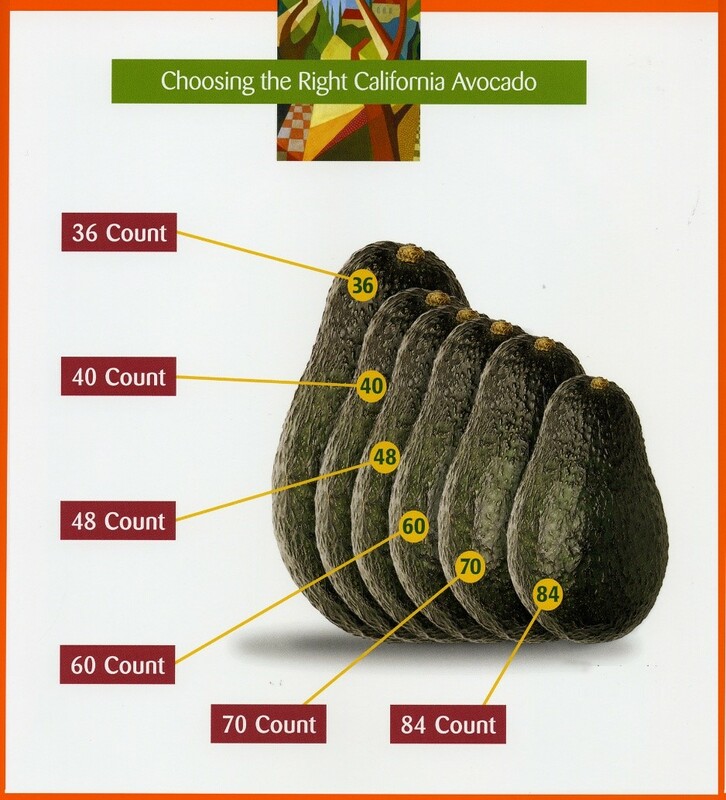 How many days in advance of the time you need avocados should you place your order? When ordering avocados for an event or photo shoot do you need to ask for California Avocados? Does it matter if you order cases or flats? Should you always order firm fruit? What if you’re not sure what to order and who to contact? If you have any questions, please contact Angela Fraser at [email protected] or 949-341-1955, x106.